Thank you for subscribing! Go Cougars! Learn more about replenishment grants. 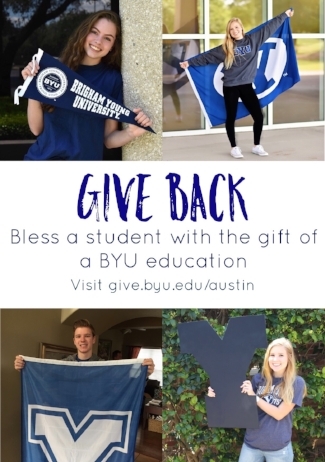 The Austin BYU Alumni chapter aims to bring the Spirit of the Y to Austin Texas, to keep BYU Alumni and friends connected for good, and to assist individuals in their quest for self improvement.